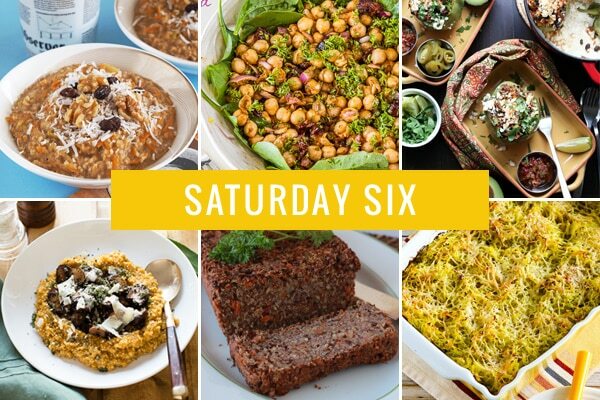 Thank you for including me on Saturday Six! So much goodness here! I’m eye’n that spaghette squash, though because I have a fresh one sittin on my counter ready to go! Thanks y’all! Another collection of winners, and thanks for including my Twice Baked Spaghetti Squash. Love the sound of chickpea salad – might make a big batch for the week! SO many good ones, the twice baked spaghetti squash is especially calling my name. I LOVE pesto, and as I am not running, it is a great time to load up on vegetables as I don’t have to worry about eating tons of complex carbs 🙂 THANKS!